one of the great things about independent travel in beautiful samoa is that you don’t necessarily have to rent a car. there’s an extensive network of colourful public busses with open windows (with pull-up plexiglass screens for rainy times), boasting local music and cheap fares. this is the way to go for a true local experience! 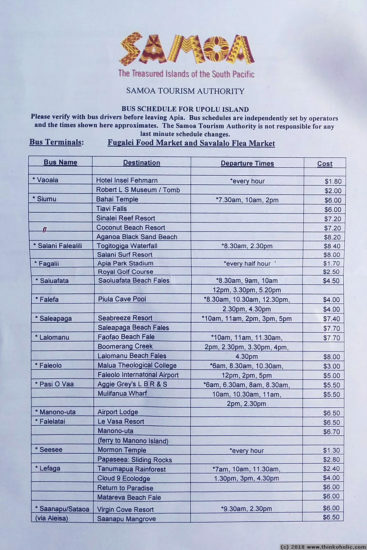 on the island of upolu (which houses the country’s capital, apia), there are two bus terminals and buses run more or less to a schedule (details below). 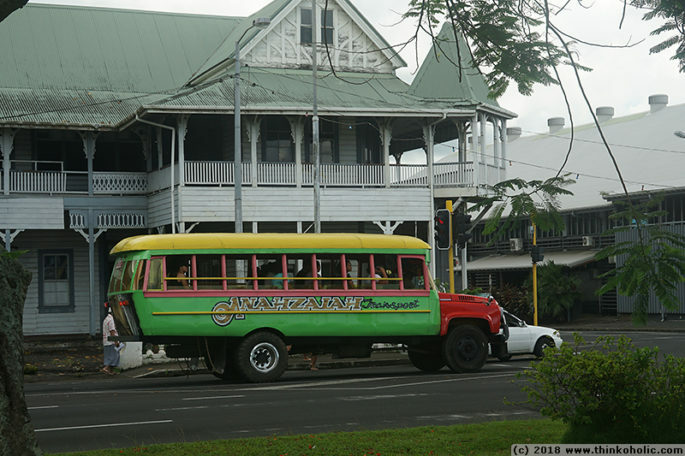 in contrast, on the island of savaii, busses run more infrequently but at least they’re usually timed so they meet the departing/arriving ferries from upolu (don’t take your time getting off the ferry!). 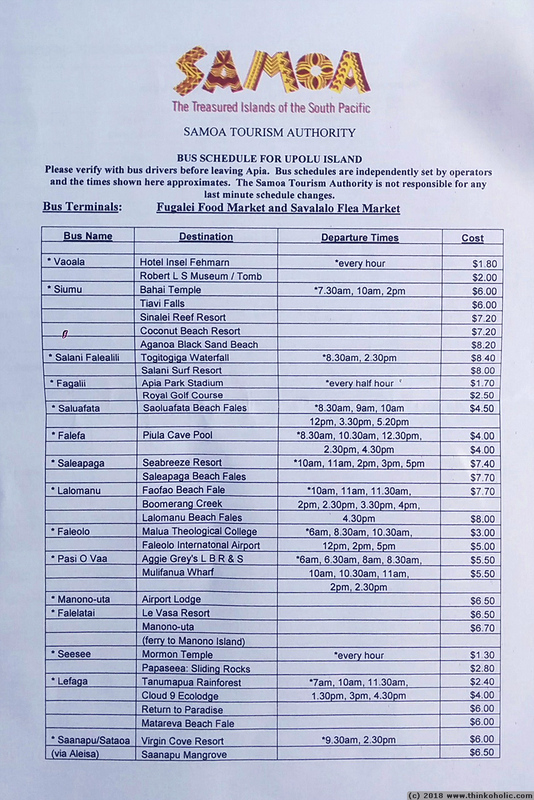 here’s a list and timetable of the public bus network on upolu from january 2018 (transcript below), courtesy of the samoa tourism authority. please be aware that all details below are (of course) subject to change, and just intended to give you an idea of timing and pricing. when you arrive in apia, be sure to visit the tourist information fale (near the cathedral) and ask for an up-to-date version. times are approximates for when the bus leaves. be sure to get there 30+ minutes early and get on the bus, as they can leave early if they fill up (or much later if they don’t).